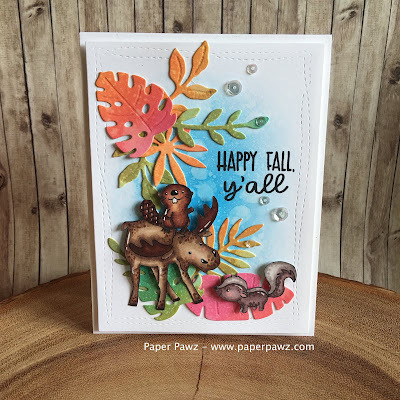 Paper Pawz: Hello Fall with Hello Bluebird! Happy Sunday! I am not sure when it happened but I woke up one day this week put my dogs out and bam, I realized it was fall! Don't get me wrong I love fall, I actually think it's my favorite season. The only problem with it is that winter in next! LOL! 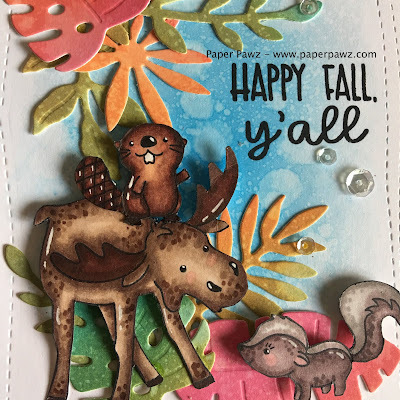 So, I was inspired to make a fall themed card using the sweet Hello Bluebird Moose and Friends stamp set along with the Tropical Foliage dies (yes, I know, they are tropical leaves but I wanted to use them anyway!) 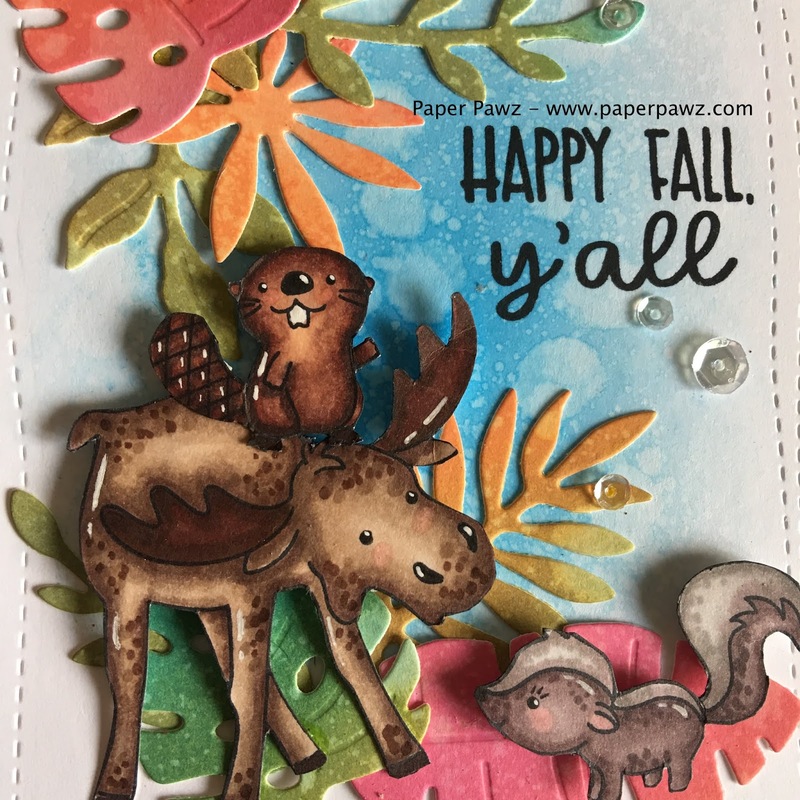 I used my Distress Oxide Inks on a piece of Bristol to make my fall colors and I die cut my tropical leaves from that panel. 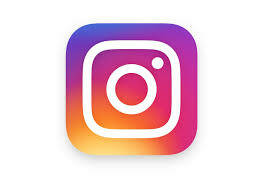 I stamped and colored my images with my Copic Sketch markers and added some white gel pen for added detail. Once that was all done I die cut my Neena 80lbs panel using my favoured Avery Elle Wonky Stitched Rectangle die. Before adhering my leaves and images, I added some Salty Ocean Oxide Ink in the centre and sprayed some water using my Distress Sprayer. 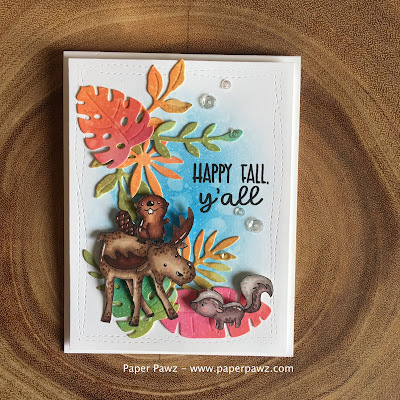 Once that was dry I stamped my sentiment (collaboration set with Simon Says and Neat and Tangled from last years STAMPtember). I put everything together and added some Pretty Pink Posh Sparkling clear sequins! 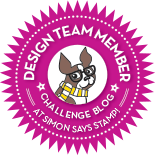 Thanks for taking the time, all of these products can be found at Simon Says Stamp!